In the space of three years, Pantsguys Productions has become one of the most visible of Sydney’s independent theatre-making collectives. 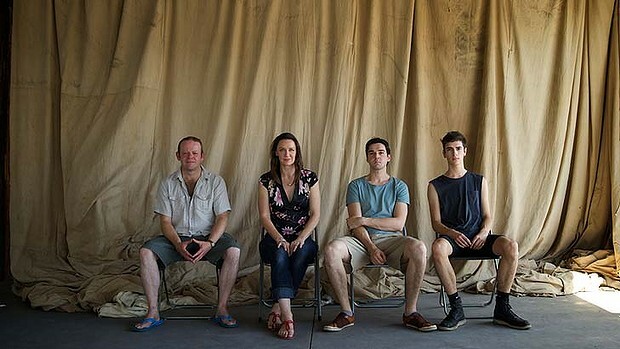 Formed around a nucleus of graduates from Actors Centre Australia in 2010, the company has already produced 10 plays. One of them, British writer Simon Stephens’ drama Punk Rock, was voted Best Independent Theatre Production of 2011 at the Sydney Theatre Awards in January. The production’s director, Anthony Skuse, also collected an award for his work on the play. One of the leading young writers to emerge in the new century, Stephens won the 2005 Olivier Award for Best Play forOn the Shore of the Wide World. Like many of his plays, it is set in his northern English home town of Stockport, Lancashire. Here his subject is the Homes family, which, over three generations, has developed a knack for unhappiness. Perhaps 18-year-old Alex (played in this production by Pantsguy co-founder Graeme McRae), can break the mould, having found love with a girl called Sarah, who is staying over at his house for the first time. But with his parents’ marriage looking rocky in the wake of a tragedy, the situation quickly begins to generate instabilities within a fragile household already afflicted by the spectres of infidelity and alcoholism.